You are deemed to have unconditional acceptance of these terms and conditions when you enter a competition, prize draw, vote or poll (as together with any specific terms for such competition that may be mentioned on–air, in any messages or on Spin1038 and/or Spin Southwest ’s online or mobile applications. It is agreed and accepted by you that Spin1038 and/or Spin Southwest shall have no liability whatsoever in respect of competitions operated on behalf of third parties (for example, sponsors) (except in respect of death or personal injury directly attributable to Spin1038 and/or Spin Southwest 's negligence). All entry instructions and any other specific details relating to each individual competition or prizes form part of these Terms including but not limited to the Rules as set out below. The prize is subject to availability and to winner confirmation, i.e. the radio station has managed to contact the winner and confirm eligibility. You have made certain representations and warranties to Spin1038 and/or Spin Southwest (both in these Terms and otherwise) in applying for a place on the Competition. Spin1038 and/or Spin Southwest has relied on the accuracy and truth of such representations and warranties in granting a place to you. Should Spin1038 and/or Spin Southwest or its agents become aware of any fraud, deceit or similar action undertaken in connection with the Competition or otherwise, or any act or omission which might have (in Spin1038 and/or Spin Southwest ’s opinion, which shall be final) an adverse effect on the Competition, Spin1038 and/or Spin Southwest (or any of its radio stations), reserves the right to forfeit your place on the Competition (without giving any reason and without notice). All competition entries must be in the required format specified before the advertised closing date and Spin1038 and/or Spin Southwest will not accept any responsibility for incomplete, lost or entries that are processed late due to a technical malfunction. You agree to co-operate with and comply with all reasonable requests of Spin1038 and/or Spin Southwest ’s and its agents and employees (and in particular the health and safety team) in connection with the Competition and its broadcast. You consent to the recording and broadcast of your participation and use of your image as part of the Competition. The interests and good reputation of Spin1038 and/or Spin Southwest are paramount and Spin1038 and/or Spin Southwest may, at its sole discretion, withdraw a place or require you to cease to have any involvement in the Competition if it believes it is in the best interests of Spin1038 and/or Spin Southwest to do so. In particular (without limitation), Spin1038 and/or Spin Southwest reserves the right to immediately withdraw your place on the Competition or the Prize if it believes you to be in breach of any of its obligations, or representations and warranties, under these Terms or otherwise conducts yourself in a manner which is inappropriate or unsuitable (in the discretion of Spin1038 and/or Spin Southwest ). You shall be responsible for any additional costs in this respect (including the costs of your any travel to collect the prize, if necessary). You will not by any act or omission do anything, which might bring Spin1038 and/or Spin Southwest into disrepute. You represent and warrant that you do not have any criminal convictions or criminal record and have not undertaken any past act or conduct which could affect the reputation of the Competition or Spin1038 and/or Spin Southwest . Staff of Spin1038 and/or Spin Southwest (employees or contractors) immediate families or other persons connected with this competition are not eligible to enter. You must be a resident of the Republic of Ireland. Employees, freelancers and contractors of Spin1038 and/or Spin Southwest , their families, press, agencies or any persons directly or indirectly connected with the competition are not eligible to enter any competitions. You may not enter a Competition if you have been given the answers or any other relevant information in relation to the Competition, either directly, or indirectly, by any employee of any Competition sponsor or Prize giver. Candidates in any General, national, local or European election will be ineligible, during the period of such Election, to enter any Competition until after the conclusion of such Election. Prize is as offered and no cash alternative will apply. You will comply with the instructions and directions of Spin1038 and/or Spin Southwest (failure to do so may lead to immediate disqualification, at Spin1038 and/or Spin Southwest direction). Incomplete or indecipherable entries will be void (in Spin1038 and/or Spin Southwest ’s absolute discretion). Spin1038 and/or Spin Southwest does not accept responsibility for entries lost, damaged or delayed in transit to the competition address. Proof of posting will not be accepted as proof of receipt (nor will proof that an e-mail or mobile message has been sent rather than received). Late entries will not be accepted (in Spin1038 and/or Spin Southwest 's discretion). The decision of Spin1038 and/or Spin Southwest 's judges is final and conclusive in all circumstances and no correspondence will be entered into. The prize will only be awarded to the winner. The prize must be claimed within a year. Unless otherwise stated all taxes, insurance, fees and surcharges on any prize are the sole responsibility of the winner. Where there are multiple prizes are on offer in a single competition only one win per household will be permitted. The competition is open to all residents on the island of Ireland aged 18 years and over or with permission of a bill payer. You may only enter a Competition as an individual; any entries that, in Spin1038 and/or Spin Southwest ’s absolute discretion, have been made via participation in a syndicate will be disqualified. Any entries made, in Spin1038 and/or Spin Southwest ’s absolute discretion, via any form of machine assisted intervention enabling multiple entries will be disqualified. Spin1038 and/or Spin Southwest reserves the right to discount multiple entries from the same IP address or telephone number, unless the specific terms and conditions for the Competition state that multiple entries are permitted. Spin1038 and/or Spin Southwest reserves the right to require proof of age and evidence to verify the identity of an entrant at any time and may use any reasonable channels and methods available to carry out checks of any details provided by the entrant. The full name and surname given at time of entry to any competition or giveaway must precisely match that on the photo ID produced when collecting the prize. Use of a false name or address by a competition entrant will disqualify you from receiving any prize. Spin1038 and/or Spin Southwest shall be entitled, in its absolute discretion, to cancel a competition with immediate effect by on air announcement (in the case of on-air competitions) or by stating the same on the relevant website (in the case of on-line competitions) without any liability in respect thereof. In order to enable Spin1038 and/or Spin Southwest to correctly identify genuine claims and to eliminate non-genuine, deceitful or fraudulent claims, Spin1038 and/or Spin Southwest reserves the right to carry out an interview (by telephone or in person with you and to tape record the interview). If you refuse to participate in or answer all questions raised in such an interview without good reason then your place will be treated as invalidated. Spin1038 and/or Spin Southwest does not accept any liability for claims or prizes which are lost, delayed or damaged in the post or otherwise not validly received by you. If the prize is provided by a third party, Spin1038 and/or Spin Southwest accepts no responsibility whatsoever for the supply or non supply or purported supply or delay in supply of the prize, including without limitation, the failure of the winner to receive ownership of or use the prize. Where appropriate, prize winner is required to complete all applicable booking and/or other formalities directly with specified third party providers. Some competitions may require entrants to take part in a programme in order to win the prize. Where this is required and where an entrant fails to take part as required or takes part but fails a subsequent test of skill which is required to win the prize, that contestant will not be awarded the prize. If you fail to answer your telephone when we phone you or you become disconnected for any reason before or during the Competition, we reserve the right to select another entrant. If a call to a finalist cannot be completed on-air due to technical issues on the part of Spin1038 and/or Spin Southwest or time restrictions, Spin1038 and/or Spin Southwest reserves the right to announce the winner on-air on the next programme, in which case the finalists will not be required to take the presenter’s call in order to be deemed winners. Neither Spin1038 and/or Spin Southwest or its agents accept any responsibility whatsoever for any death, injury, damage, loss, expense or liability arising as a result of winning a prize. Spin1038 and/or Spin Southwest ’s decision is final and binding in all matters and no correspondence will be entered into. Spin1038 and/or Spin Southwest reserves the right to change any aspect of the prize. Spin1038 and/or Spin Southwest are excluded from liability for any loss, damage or injury which might occur to the winner arising from his or her acceptance of the prize. The winner may be required to participate in unpaid promotional related publicity undertaken by Spin1038 and/or Spin Southwest or its associated companies. If due to circumstances beyond its control a prize becomes unavailable Spin1038 and/or Spin Southwest reserves the right to substitute a prize of equal value. Spin1038 and/or Spin Southwest accepts no liability (and excludes all liability) for any loss of profit, business, contracts, revenues or anticipated savings or for special, direct, indirect or consequential loss of any nature howsoever arising. Spin1038 and/or Spin Southwest reserve the right to amend these terms and conditions. You grant all the consents, if any, which the company may require under the Copyright and Related Rights Act, 2000 in relation to you participation and use of your image and under the laws of any other jurisdiction throughout the world. This shall include the right to alter, edit and compile the audio recording in any way whatsoever. You confirm that the use by Spin1038 and/or Spin Southwest of the audio recording or image submitted will not infringe any third party rights and shall indemnify Spin1038 and/or Spin Southwest for any loss, damage or liability arising in connection therewith. The winner and if there is a prize for two, then also their companion may be required to provide their signature as proof of their agreement to relevant waivers, releases and/or consents when taking up the prize. Failure to sign any relevant documentation may result in forfeiture of the prize. Entrants are required to follow instructions on websites as indicated in the interaction information. Internet Service Provider fees may apply. Texts cost may vary from competition and please be aware that short codes may change from competition to competition and in some instances may require two text messages. You may need to check with your service provider for details of phone network compatibility. You will pay any text messaging charges via your service provider. Please take care to follow the exact on-air or online Competition instruction as we cannot guarantee Competition entry for misspelt entries. A valid entry consists of a correct answer entered accompanied by the entrant’s name, address, email address and a phone number. Entries not submitted in accordance with rules will be disqualified. If you are viewing or listening via an IP enabled device such as a smartphone or tablet, please remember that the stream may be slower than on a television. If a competition requires you to enter by a deadline dependent on an item in the broadcast no entries from a replay may be accepted. Spin1038 and/or Spin Southwest will not accept responsibility for any technical failure or malfunction or any other problem in any network, system, server, provider, or otherwise which may result in entries being lost, in audible, incomprehensible. Bulk entries are void and cannot be accepted. Phone entrants are required to call the phone number in the competition information and follow the instructions in the recorded phone message. Entrants will be required to leave an answer to the relevant question, their full name, address and a daytime contact telephone number. The charge per call will be as indicated in the Competition Information. Calls made from mobile phones and phone lines may vary. Once the telephone number is dialled and the entrant is connected the cost of entry will be incurred together with any charge from the network that operates your phone. Where entrants are required to submit a contribution ( which may include but is not limited to photographs, video, Facetime/Skype audio, live-media images, drawings, entrants must agree to Spin1038 and/or Spin Southwest ’s online terms. Entrants are required to submit copies rather than original material. By submitting your contribution you are deemed to be consenting to allowing Spin1038 and/or Spin Southwest ’s use of your material in compliance with Copyright and Related Rights Act, 2000. In the case of prizes in the form of free tickets, ticket holders shall be bound by the event promoter's terms and conditions together with those set out on the ticket and the rules and regulations of the venue. In the case of prizes in the form of addition to the "free list" or "guest list" of the event promoter you must arrive and gain admittance to the venue at the published start time of the event. Late admission to an event is at the event promoters’ discretion. All Guest List admission shall be bound by the event promoter's terms and conditions together with those set out on the actual ticket and the rules and regulations of the venue. 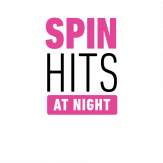 Spin1038 and/or Spin Southwest will not be responsible for replacing a prize if a concert or ticketed event has been awarded as a prize and the concert or event is cancelled or postponed. It is agreed and accepted by you to fully comply with all travel and accommodation arrangements made by Spin1038 and/or Spin Southwest or its agents in connection with your participation in the Competition. Certain dates may be excluded when the winner may not take up the prize. Prizes must be taken in accordance with the dates and destinations and number of passengers specified by Spin1038 and/or Spin Southwest . There will be no cash alternative. There will be no alternative destination. Where the prize involves travel or accommodation, Spin1038 and/or Spin Southwest reserves the right to determine a final date by which the prize must be taken. Where the prize necessitates travel and/or attending an event on a specific date, the winner must be available on the date(s) specified by Spin1038 and/or Spin Southwest in the interaction information and no alternative dates will be available. All elements relating to a prize including travel and/or accommodation must be taken up during one period, and not on non consecutive dates. The winner and whoever is accompanying them must hold a valid passport and the required visa or travel documentation. The winner and their companion must travel together, departing from and returning to the same location at the same time and on the same itinerary. All holidays must be taken within 6 months of the date of the competition or will be deemed invalid. The Prize provider and/or their agents cannot guarantee that seats will be adjacent to each other. Where the prize includes a cheque, voucher, or gift card, such a prize will be payable in euros and cannot be made payable to any third party. Holidays are non-transferable. Holidays are subject to availability. You must hold a valid Irish passport with at least 6 months' further duration (or competition entry will be invalid). Holidays are not available to persons under the age of 18 without the express prior written permission of Spin1038 and/or Spin Southwest . Children between the ages of 12 and 16 years for the purpose of airfares are considered to be adults. Children under 18 years of age must obtain written consent from a parent or guardian and cannot travel unless accompanied by an adult over the age of 18. In the event of unforeseen circumstances or circumstances outside Spin1038 and/or Spin Southwest 's reasonable control Spin1038 and/or Spin Southwest reserves the right to offer an alternative prize of equal value. No cash will be offered. You are not entitled nor authorised in any way to commit Spin1038 and/or Spin Southwest to any contract, expense or cost entered into or incurred without its advance written acceptance of the same. No variation of these Terms is effective unless approved by an authorised representative of Spin1038 and/or Spin Southwest in writing. Any flights, other transport, airport details, accommodation or other aspects of the Prize, dates and times quoted by Spin1038 and/or Spin Southwest or its agents are for guidance only and are subject to change without notice with no liability arising. You must have sufficient financial resources to meet any financial commitment which they may incur in connection with the Prize beyond those included in the Prize itself (including, without limitation, transfers to and from a London airport, meals and drinks). The following general terms and conditions apply to all votes and interactive polls promoted by Spin1038 and/or Spin Southwest together with any specific terms as set out in the interaction information. Open/Close times: The opening and closing time for voting or participating in the interactive poll is as specified in the interaction information. Poll or votes made or received outside of these specified times will not be counted but may still be charged where applicable. Spin1038 and/or Spin Southwest or its agents may suspend, withdraw or re-set any voting or poll and/or may change times for voting and participating in the poll or the rule for participating in the poll or vote in their sole discretion at any time. Anyone having difficulties getting through to the voting lines or interactive poll service should wait and then try again within times when the vote or poll is open. In order to vote or take part in an interactive poll or vote, you must follow the instructions as set out in the interactive information. Your vote will not be counted or interaction will not be taken into account if you attempt to vote or take part in the poll using a method that is not specified in the interaction information. The cost for voting or taking party in the poll is as indicated in the interactive information. For competitions involving online voting only one vote for each valid email address will be accepted and we reserve the right to disqualify any Entrant making, , or attempting to make, multiple votes. Voting and participating in an interactive poll is intended for individuals as consumers and the programme producers reserve the right to discount voles or polls if they reasonably consider them to have been made other than by individuals as consumers and those within the jurisdiction. In the event of any fault, mistake, misunderstanding or dispute concerning the outcome of a vote or poll, or the operation of any part of the interactive service the decision of Spin1038 and/or Spin Southwest or its agent shall be final. The result of the vote or poll will be established from all eligible votes or poll entries submitted between the opening date/time and the closing date/time of that vote or poll and received by the Spin1038 and/or Spin Southwest and/or the producer of the programme. The outcome of the vote or poll will be revealed and/or published after the lines have closed. If there is a tie the producer of the programme or agent may take into account the circumstances and information available to them at the time. If you are voting on whether a person continues to participate in a programme and that contestant is unable to perform or is prevented from performing fulling in the programme for any reason including without limitation medical reasons, then the producer will decide if a person can continue in the programme. The producers may use their sole discretion to determine if another contestant may be allowed to participate in the programme. The producer or agent reserves the right to discount or disqualify votes activity that excessively manipulate the outcome or polls such as auto-diallers or automated technology or an individual using multiple different phone numbers. Spin1038 & Spin Southwest reserves the right to ban an individual from future interactive services and disqualify and/or discount any future entries, votes or polls made in respect of our interactive services. By signing the Agreement, you confirm and warrant that, to the best of your knowledge, your general state of health is good and you have no medical condition that could be adversely affected by strenuous exercise or any of the events or activities planned or reasonably expected to be involved in the Competition. You must take all reasonable steps to ensure your own health and safety. Any behaviour or act or conduct by you which Spin1038 and/or Spin Southwest considers to pose any medical, security or safety risk will lead to your immediate disqualification (including without limitation any abusive behaviour, physical or psychological). You are obliged to take all reasonable steps to ensure the safety standards and the general appropriateness of activities undertaken during the Competition and acknowledge that all activities are undertaken at your own risk. You must notify Spin1038 and/or Spin Southwest of any medical or other condition which may mean that you are unfit for travel or participation in the Competition as soon as you become aware of such a condition. Spin1038 and/or Spin Southwest reserves the right to forfeit your place on the Competition or the Prize (without liability or compensation) if, in its opinion, you may expose yourself or others to risk of illness or injury or to the cancellation, disruption, or curtailment of the Competition. You agree not to carry on your person (or in your possession or control) or to purchase or consume during the Competition any illegal substance. You acknowledge and agree that alcohol consumption will only be allowed with the express prior consent of Spin1038 and/or Spin Southwest and the health and safety team, who will have full authority to direct that you shall not consume any more alcohol. You will comply with all directions of Spin1038 and/or Spin Southwest in respect of health and safety (failure to do so may lead to immediate disqualification, at Spin1038 and/or Spin Southwest 's discretion). You undertake not at any time to disclose, reveal, communicate or otherwise make public any information relating to Spin1038 and/or Spin Southwest , its business, personnel, servants, agents or officers to anyone. You may not publicise your involvement in the competition or the fact that you have won a prize without the prior written permission of Spin1038 and/or Spin Southwest . In the case of competitions which require you to submit audio recordings you grant to Spin1038 and/or Spin Southwest the unconditional and irrevocable right to broadcast the audio recording(s) submitted by you by live or deferred transmission in all formats (including, without limitation, analogue, digital, internet, cable, satellite and telephony broadcasts). This shall include the right to alter, edit and compile the audio recording in any way whatsoever. You confirm that the use by Spin1038 and/or Spin Southwest of the audio recording submitted will not infringe any third party rights and shall indemnify Spin1038 and/or Spin Southwest for any loss, damage or liability arising in connection therewith. For the avoidance of doubt, all rights in the name and title of the Competition and the format rights for the Competition will vest exclusively in Spin1038 and/or Spin Southwest for its own use (in its absolute discretion). This promotion is in no way sponsored, endorsed or administered by, or associated with and social network platform. You are providing your information to (Spin1038 and/or Spin Southwest ) and not to any social network platform. The information you provide will only be used for the administration of the competition by Spin1038 and/or Spin Southwest unless otherwise stated. No social network platform is liable in any way for any costs, expenses, damages, liability or injury arising out of or in any way connected with the promotion, competition or prizes. Two of the following: mini facial, pamper manicure, pamper pedicure, shoulder/neck/face massage, back massage. This prize is worth €55. The prize is non-transferable and cannot be redeemed for the cash value. Full day Game of Thrones filming location tour and dire wolf meeting. Including return transport, a local guide and a chance to meet Thor & Odin.